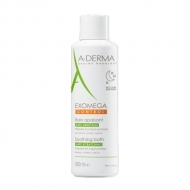 Smoothens and maintains the skin's natural ph. 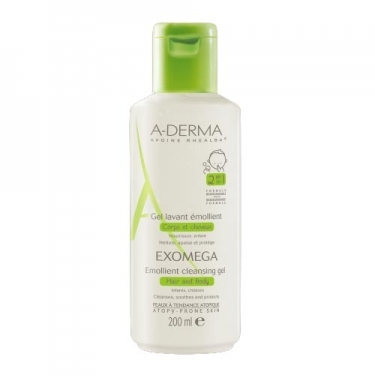 DESCRIPTION: Exomega Emollient Cleansing Gel from A-Derma is an emollient cleansing gel for body and hair that cleans, soothes and protects the atopic-prone skin of infants and children. 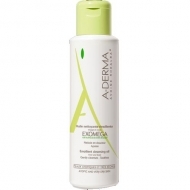 Formula 2 in 1 to soften the skin of children and simplify the life of moms. Mousse caressing, velvety scent. Without soap, physiological pH (5.5). It does not burn in the eyes. Biodegradable formula for respect of the environment. 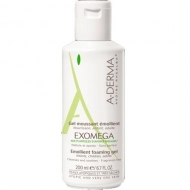 Tested under ophthalmological, dermatological and paediatric control.